I don't know where they came from. Someone must have cleaned out a cabinet somewhere. Suddenly, there appeared these boxes. 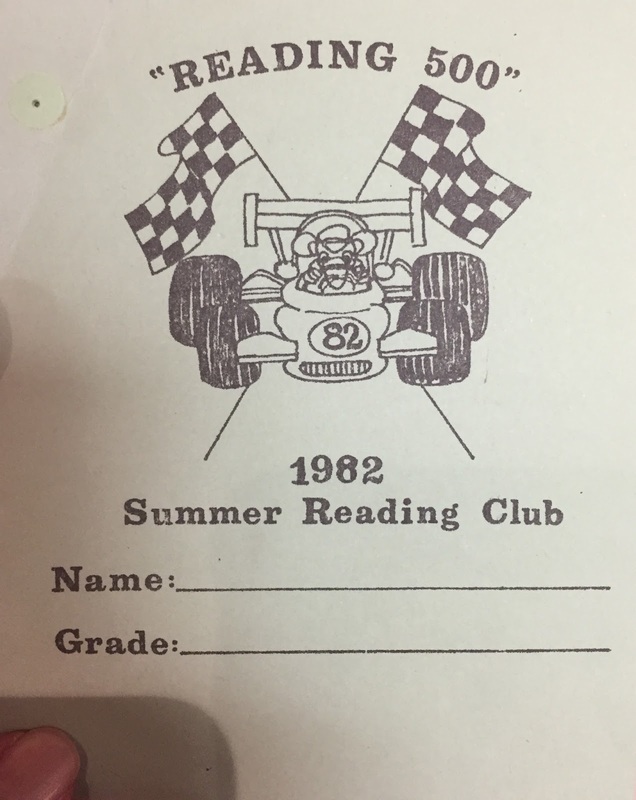 Boxes of stuff from past Summer Reading Clubs, dating back to the 1980s and 1970s. 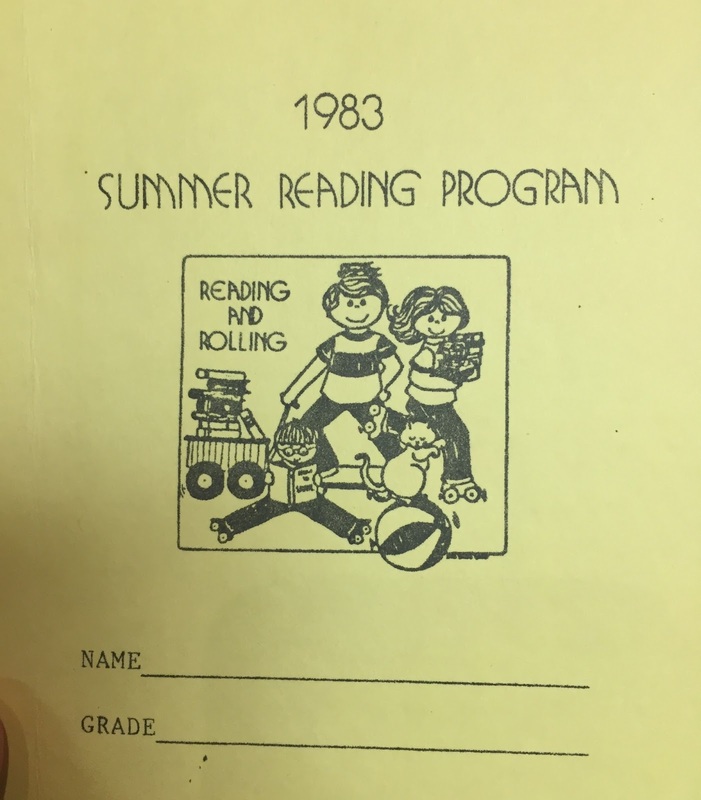 So, a couple of weeks ago on a quiet Friday morning, I delved into these boxes to take a look at our summer reading past before the boxes went to the Indiana Room for archiving in our library history files. 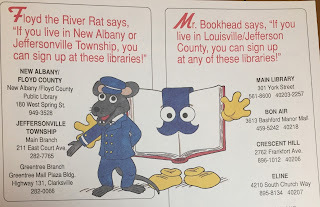 Apparently our Summer Reading Club used to be a lot more collaborative with our neighboring libraries, including the Louisville Free Public Library across the river. Check out these mascots! 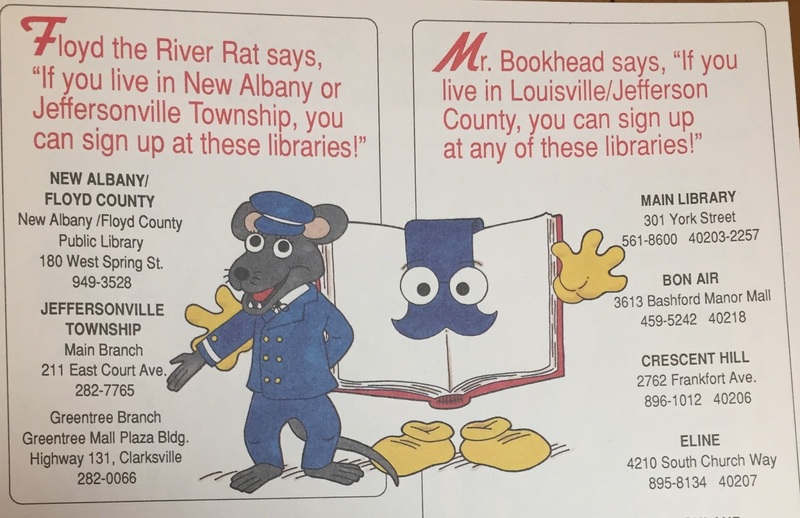 And yes, our mascot for MANY years was a rat named Floyd the River Rat who was "a retired river boat captain". For MANY years. You will see him again. 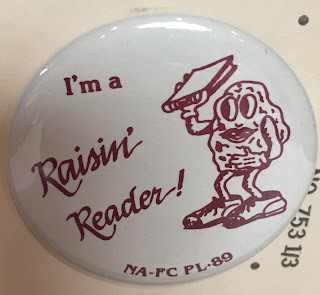 Do you remember the California Raisins? 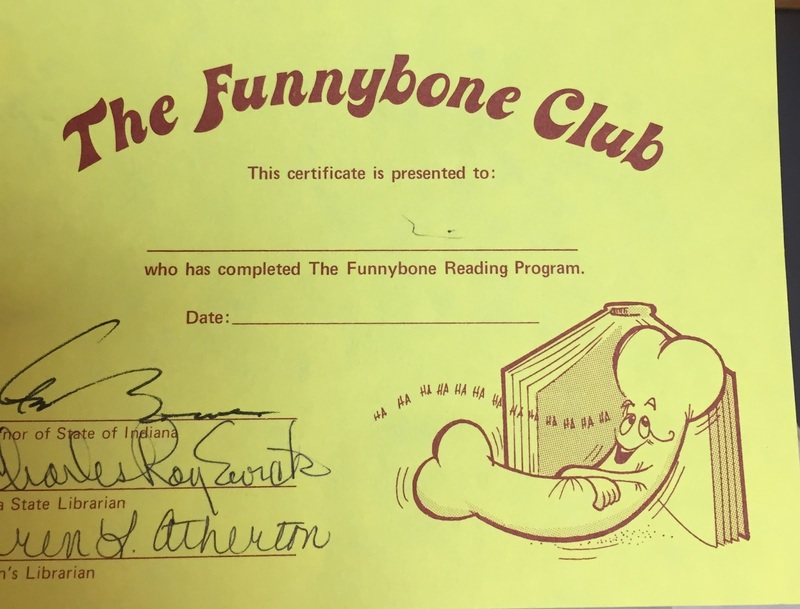 They did a Summer Reading campaign in 1989! 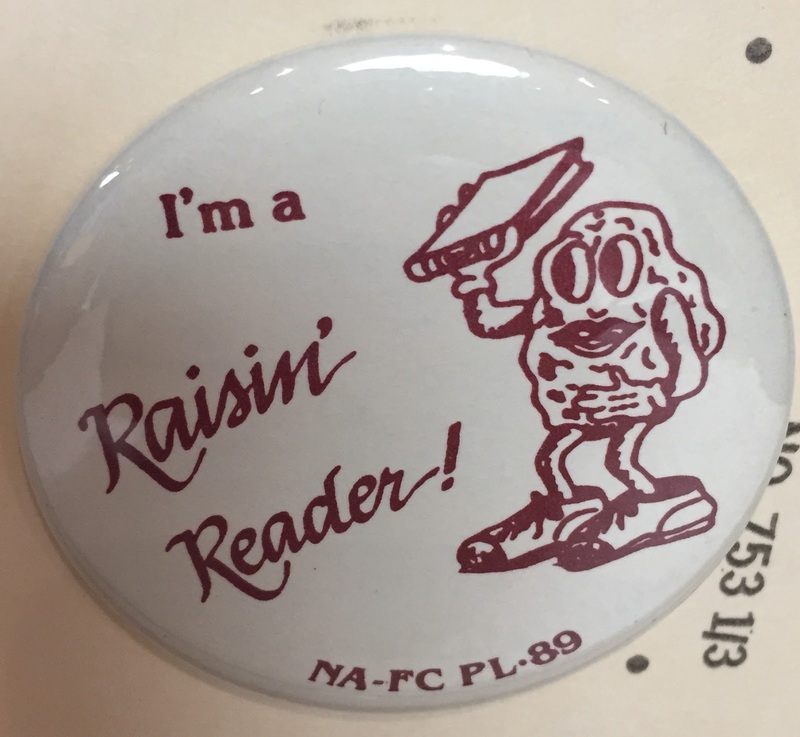 Sometimes my library participated in national or statewide campaigns and sometimes we went our own way. 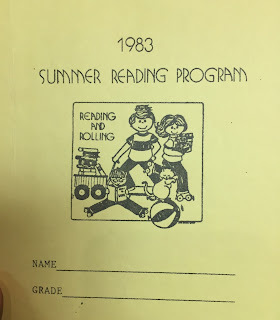 Of course there was a roller skating theme in the '80s! Lots of the coupon prize packs I found had tickets to local roller rinks (which are no longer in existence, sadly). As promised, here's Floyd the River Rat again in an Indy 500-themed club called the "Reading 500". As far as I can tell, 1982 was not any kind of special anniversary year for the Indianapolis 500, but I'm sure it was a popular theme nonetheless! 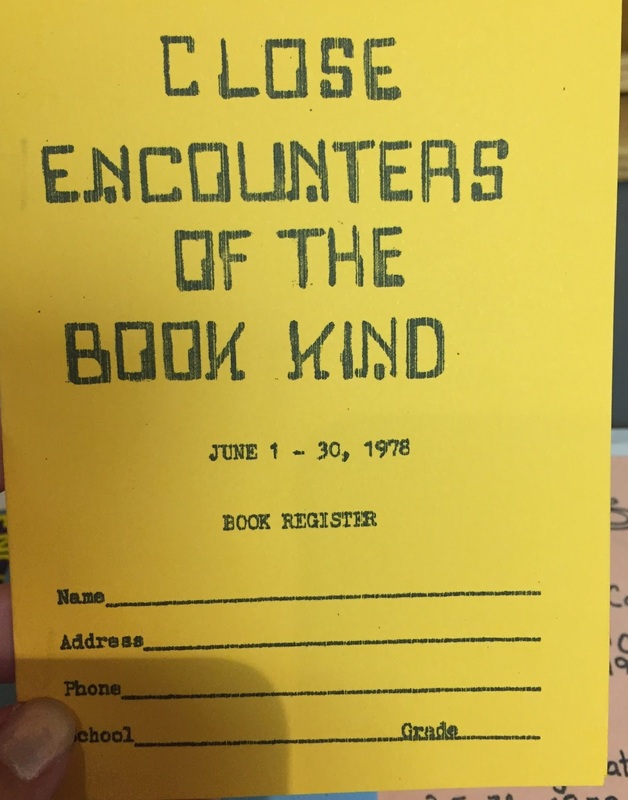 This might be my favorite of the ones we had in our boxes: a 1978 play on the movie Close Encounters of the Third Kind. 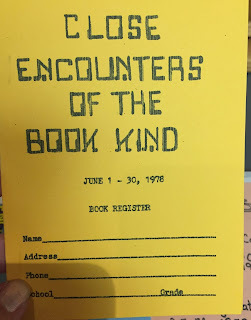 And I have to give a special mention to this dinosaur-themed Summer Reading Club log, which was not ours (it was from the Louisville Library across the river), but I would participate in this club in a heartbeat. Hmm. 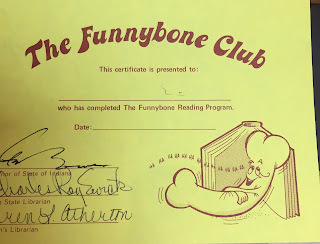 It was 1987 when I would have been turning 5 years old, so it's possible I DID participate.... Look at those bones to write your books on! Yes, please.